Indian culture . Indian culture and tradition . 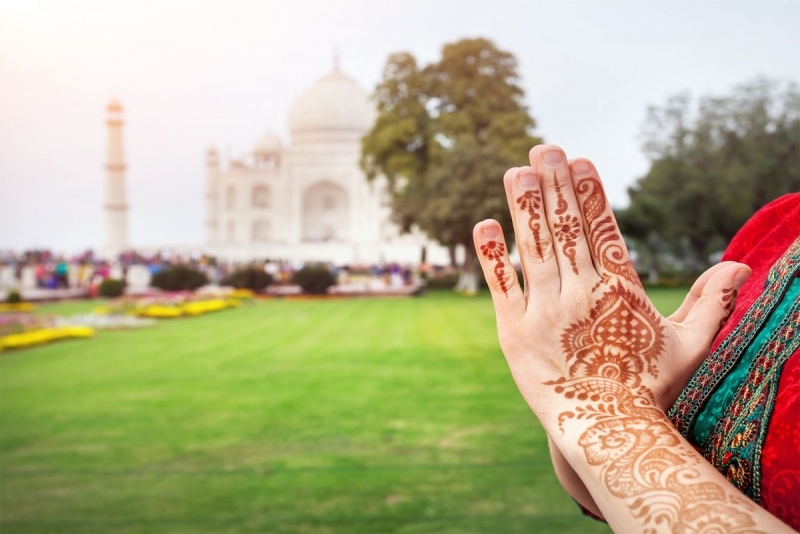 Long regarded as a symbol of the enchanting East, India’s rich and varied cultural diversity makes it one of the world’s most incredible destinations. 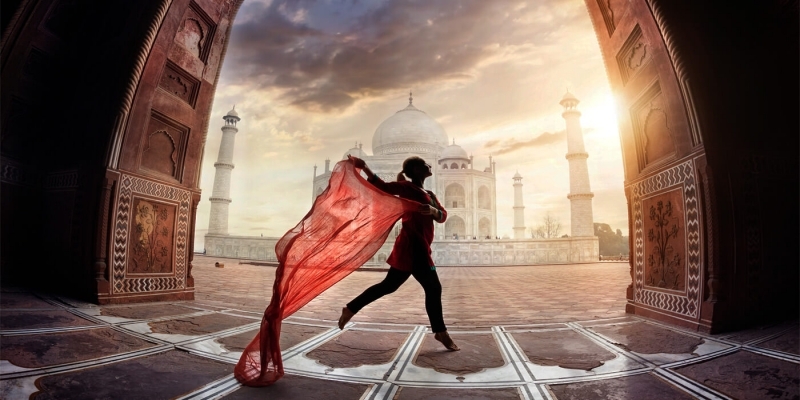 In fact, if you are traveling to India for the first time, you’ll find it can turn out to be an unpredictable country with infinite possibilities, it has a peculiar ability to inspire and mesmerize all at the same time. 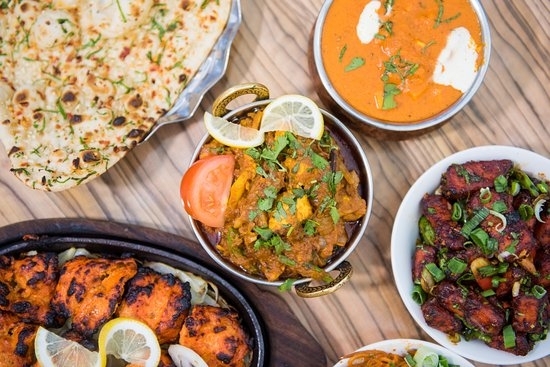 One of the most significant characteristics of the Indian culture is its hospitality. People in India pay the highest regards to their guests and value hospitality. In fact, Indians live by the popular saying, “atithi devo bhav,” which means that the guest is God’s own reflection. Namaste is the customary Indian greeting that is not only used to welcome guests but also acknowledge strangers, working both as salutation and valediction. What’s more, the gesture is said to express courtesy, honor, gratitude and hospitality to the other person. 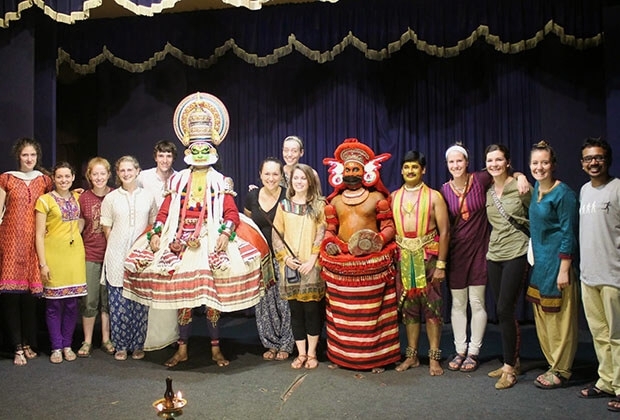 So if you practice this custom in India, it will work wonders for you to connect with people here, and help form great bonds. Indians are very traditional about their dressing. Women are expected to dress modestly according to the teachings of religion and societal norms. While trousers are acceptable, shorts and short skirts can be offensive to many. These rules become particularly important in temples and mosques. Generally, Indian people find it hard to understand why rich foreigners would wander around in shabby clothes, emulating the lowest ranks of the Indian society. Avoid wearing revealing or tattered clothes that would draw negative attention from locals. Dressing in a ‘respectable’ manner according to local customs and staying well groomed will vastly improve the impression you make on local people and cuts short sexual harassment for women as well. 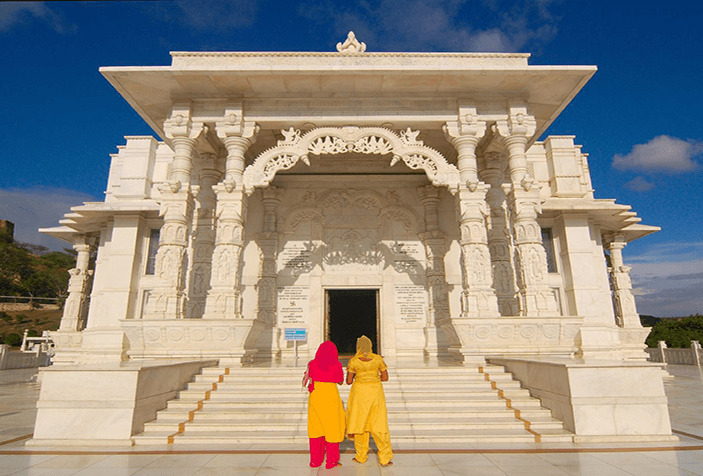 Temples and religious places are considered highly sacred in India; it’s important to show utmost respect to religious shrines, buildings, and people in prayer. When entering a temple, it’s customary for the visitors to take their shoes off at the entrance. In fact, it’s a traditional practice to remove shoes outside the house as well.Moreover, some temples also expect you to cover your head before offering prayers inside the premises. Remember to dress modestly and always use your right hand to accept the ‘prasad’. Last but not the last, watch the locals closely to have an idea about what’s appropriate. Public displays of affection: While the mesmerizing beauty of Taj Mahal or the beautiful lagoons of Kerala might make you want to inch towards your partner and give them a quick smooch, think twice before expressing your love publicly. Hugging, kissing or any other form of affection is regarded as sexual acts in India. In fact, in rural areas (i.e. outside big cities or tourist hotspots), it is still rare for couples to hold hands. While PDA may be acceptable in other cultures to varying degrees, best to avoid it altogether in India. While English is widely used as the ‘co-official’ language of the country, it may sound very formal or even ceremonious. Indians may call you “sir” or “madam” or even “kind sir” or “good lady.” On the other hand, you should be careful that your English does not sound too casual or rude to them. Swearing, for instance, is taken quite seriously, and while common in other places, frequent usage of the f-word is likely to shock in India. 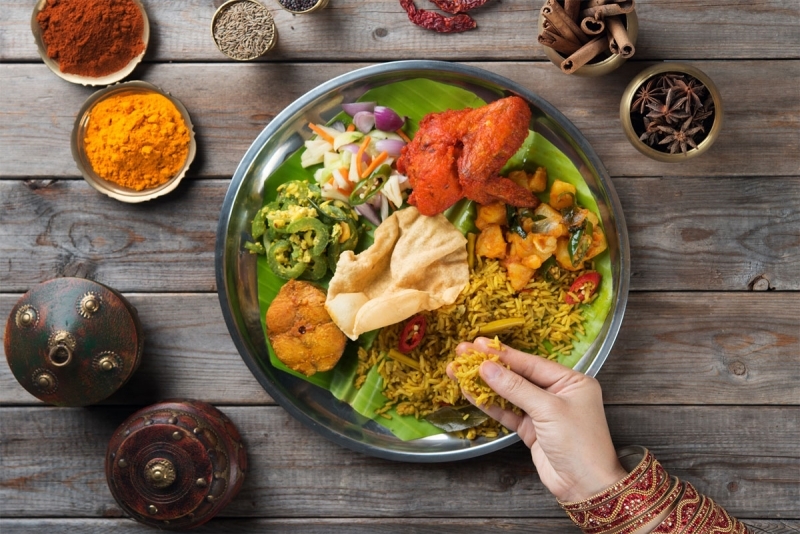 The entire life of the Indian people is governed by the traditions and customs laid down by their ancestors and eating is no exception. It is usually done with the hands, and requires a lot of practice to get right. Use your right hand to eat food! In India, the left hand is for cleaning your feet, wiping your bottom, and other unsavory tasks like taking off your shoes, whereas the right hand is the first choice for eating, greeting and so on. Pro Tip: Never give money, gifts or anything else to an Indian with your left hand. The conservative ones may take it as an offense. It is a common belief in India that your lips should not touch others’ food, which will then be regarded as jutha or leftover/sullied food. Don’t, for example, take a sip of tea and pass it on. When sipping out of a bottle or a cup to be shared with others, don’t touch it with your lips. Pour it directly into your mouth. It is believed that this custom protects you from infectious diseases that spread from one person to the other. It is also customary to wash your hands before and after eating. 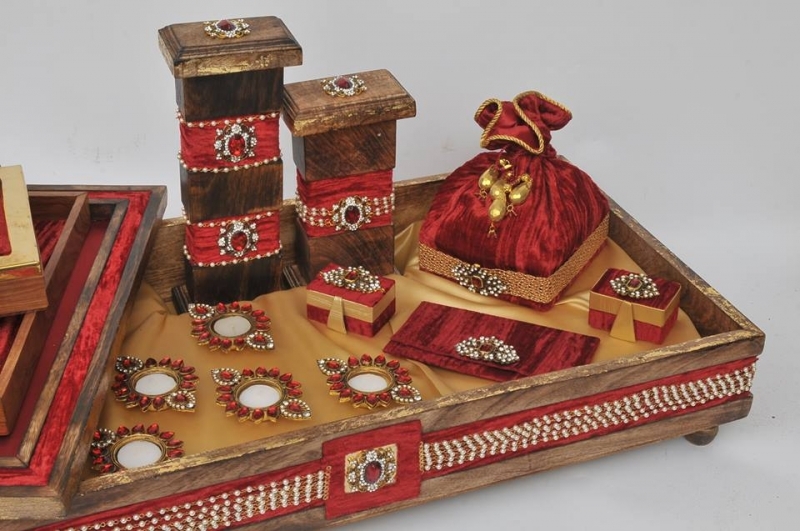 In India it’s a common practice to bear gifts while visiting friends and acquaintances. So during your trip to India, if you’re visiting friends or planning to thank your hosts, you cannot go wrong with a box full of sweets. At first, expect the recipient to say “you shouldn’t have taken the trouble” or “it was not needed,” as it is customary to initially refuse the gift. Insist at once with a kind smile and the gift will finally be accepted. Pro Tip: Avoid wine and flowers, as they are uncommon gift choices. 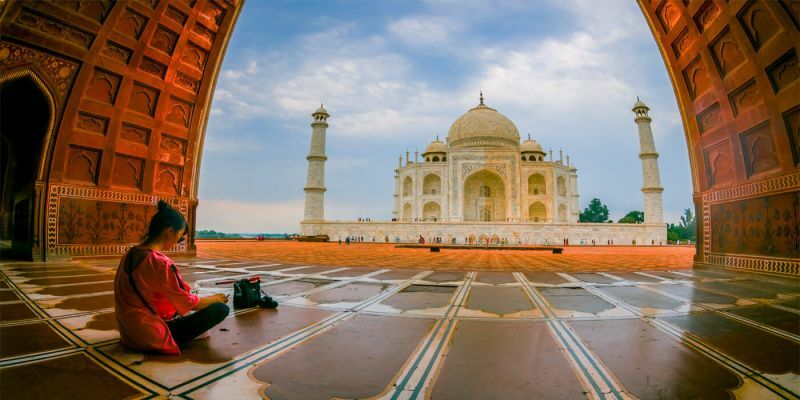 India is a land of a great ancient civilizations and a leader of today technology world, discover the greatness of ancient and modern India Today through one of India Tour Packages!